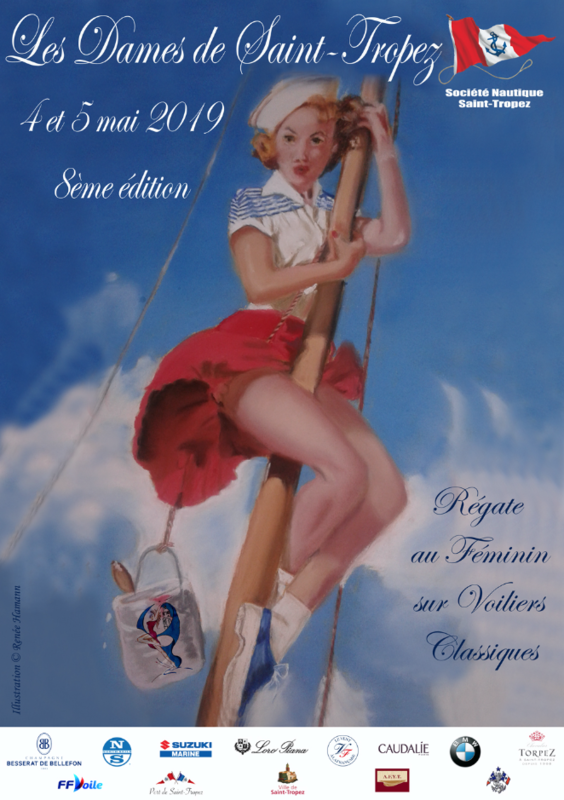 In 2012, the first of these events was attended by 8 boats, 16 in 2013, 18 yachts in 2014 and 2015 with more than 70% of crews being female sailors. This event full of charm and elegance is now part of the AFYT calendar, and should not be missed. The presence of historic and majestic traditional yachts such as; Moonbeam III, Moonbeam IV, Lelantina, L’Oiseau de Feu, Mariska, Amadour, Skylark of 1937, Savannah, Manitou, Palynodie II Nagaina, Havsoernen, Maria Giovanna and Djinn is a feast for the eyes in the old port of Saint-Tropez but also on the water with racing under the control of a predominantly female race committee. On land there is a festive program comprising a welcoming cocktail reception, a crew party and the awards ceremony. 2019: why not 100% of women participants ?